Have you checked out our earlier post on how we have established a technology partnership with Infowise earlier this year? Then you already know how this empowers both Infowise and us to serve customers better than ever before. 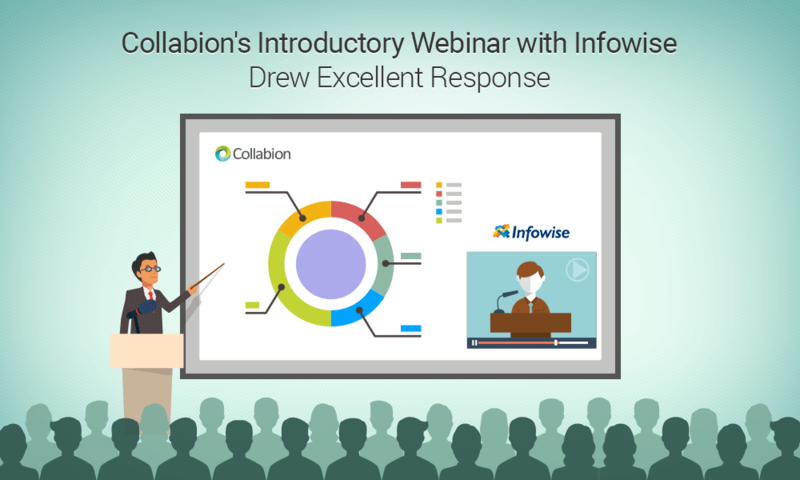 However, if you have not tried out Collabion DataParts yet, then it might be a good idea to take a look at our hugely successful introductory webinar with Infowise. Listen to our CEO, Pallav Nadhani, team up with Will Cooper from WWC Software Solutions discuss how the features of Collabion DataParts for SharePoint and Ultimate Forms from Infowise support one another in offering a delightful experience to users. If you manage business data with SharePoint, then watching this webinar is a great first step towards getting more from your SharePoint data. Got questions on Collabion products? Click here to send us a message. We’ll get in touch with you right away. Want more information on Collabion DataParts? Click here. For a quick intro to the major features of Ultimate Forms, click here.